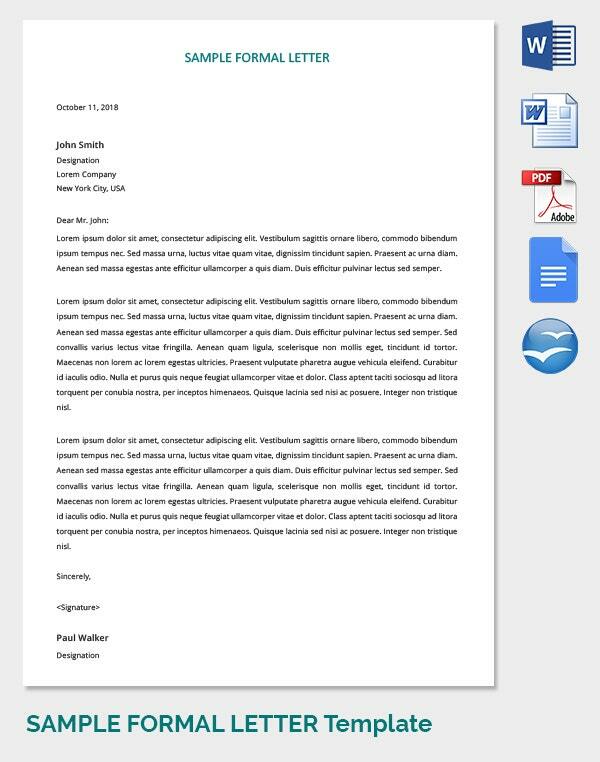 A formal letter template plays an important role in professional institutions. 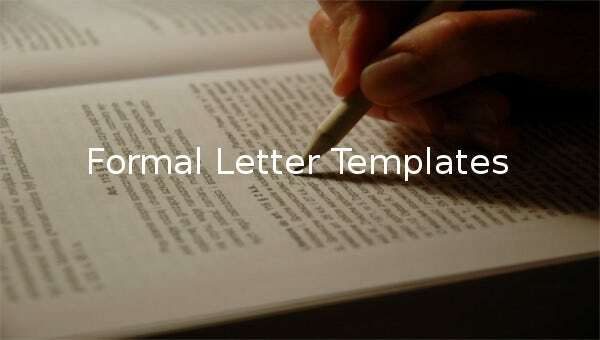 The letter is intended for people in authority, and it is often written to address issues that need immediate attention. 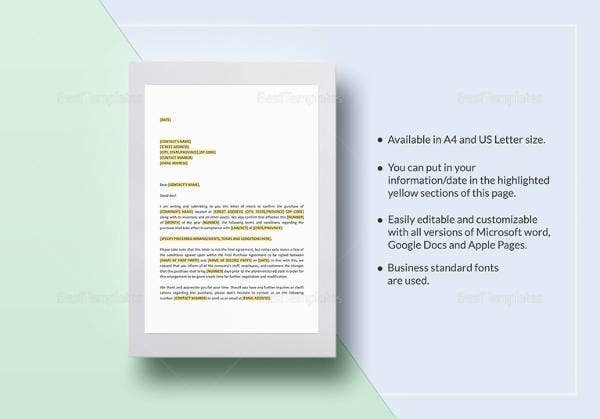 A legal letter template has the exact outline of a professional letter, and is often the best tool to download if you intend to produce many letters, now and in the future. 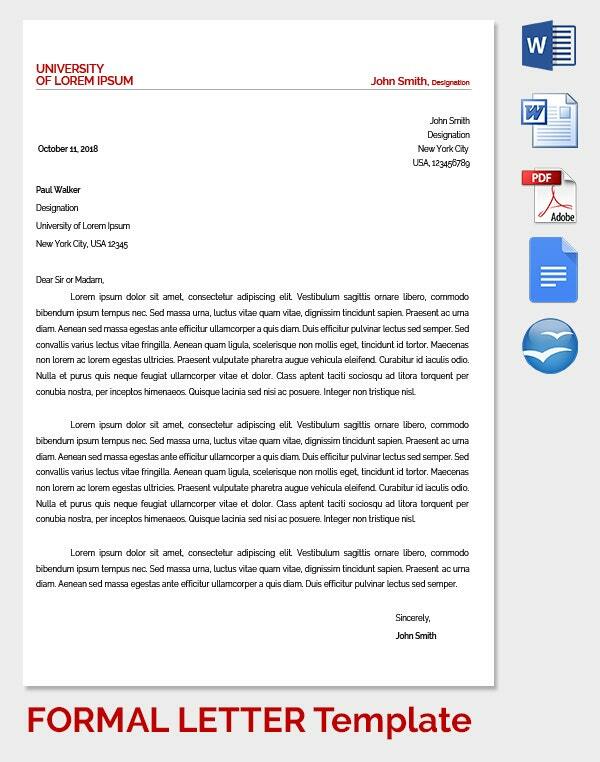 An official letter must be persuasive and precise. 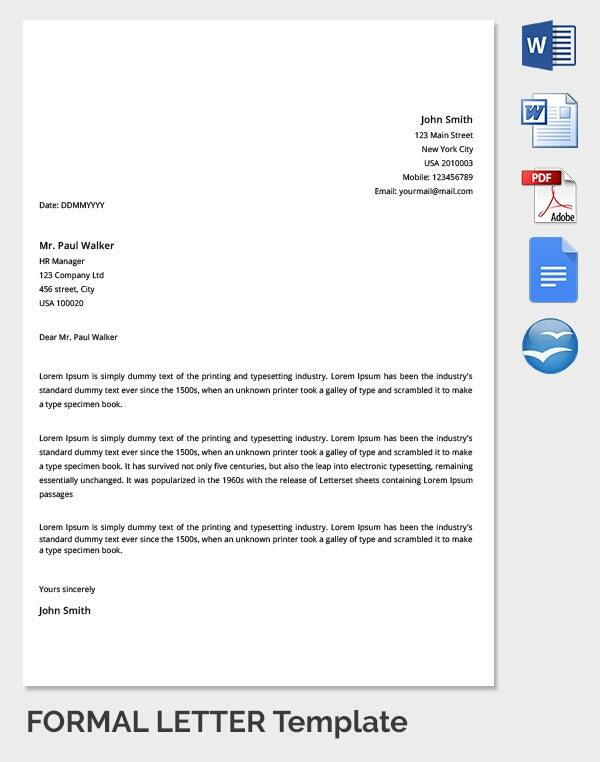 The write must use a simple, yet professional, language to address the issues at hand. 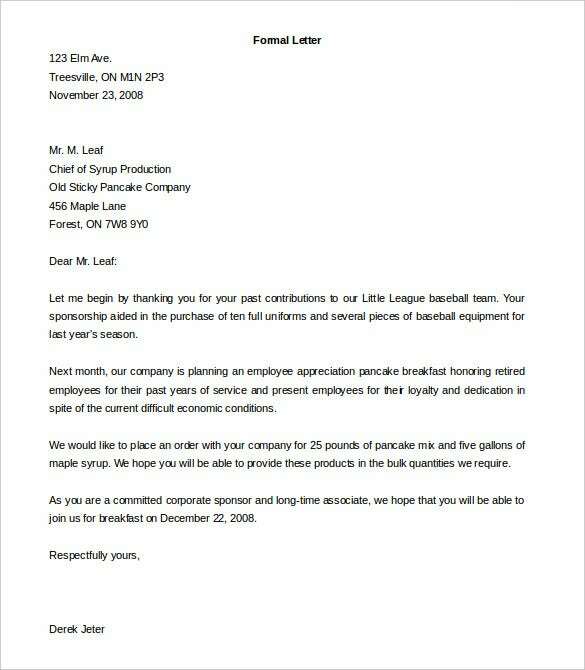 The letter template must be brief too; people in high authority have never, in history of humankind, appreciated long formal letters. 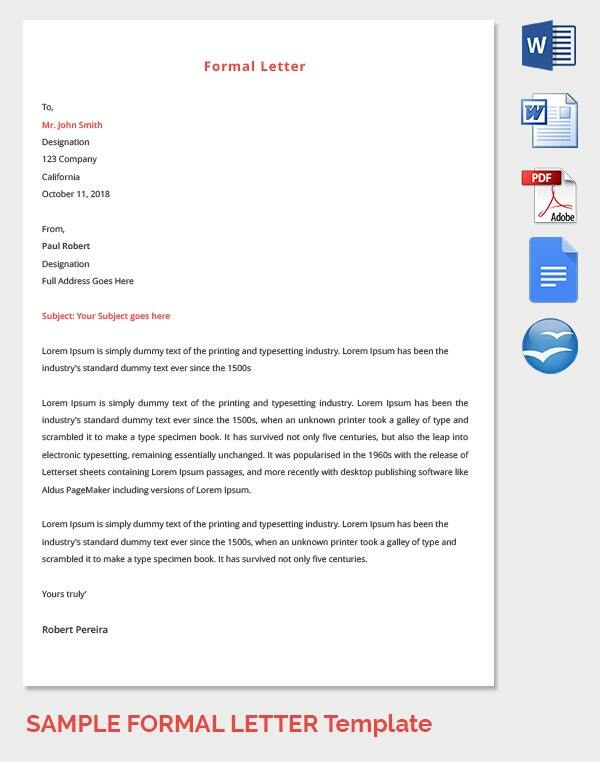 Company letters are extremely crucial in terms of the conciseness and preciseness of the content. 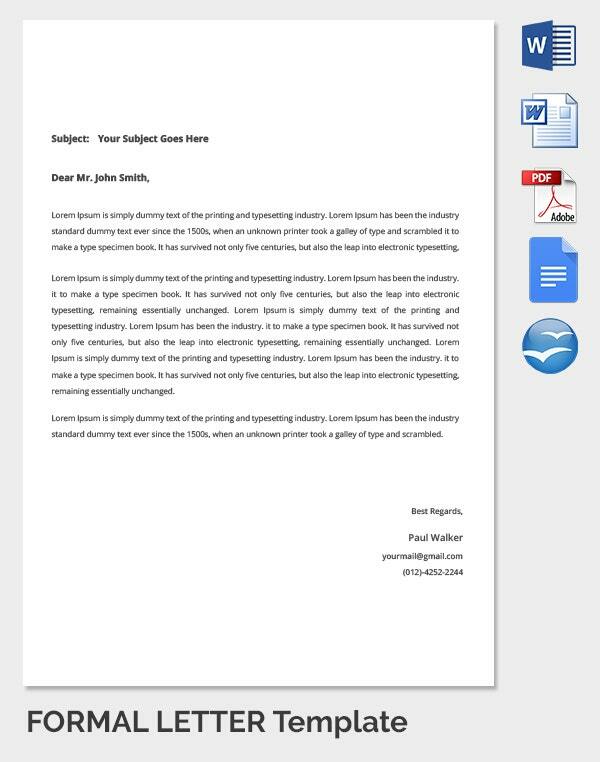 These letters often convey important information and the average time spent in reading such letters are very less. 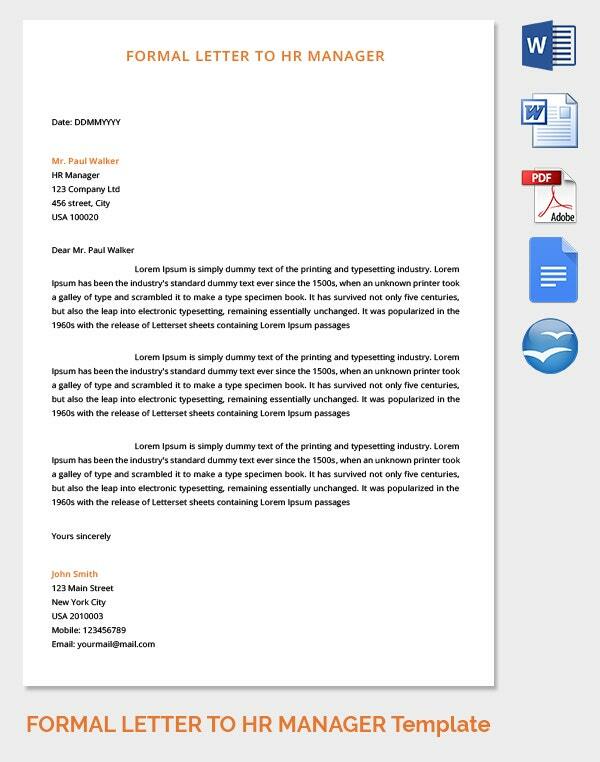 Hence, the very first line of the letter should in a way send across the theme or the tone of the context which is discussed in the letter. 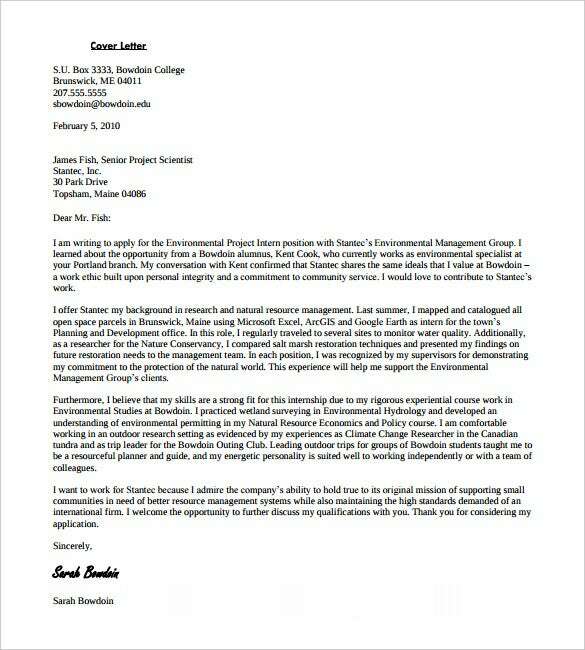 An important point of consideration is that letters of recommendation for academic purpose should not be mixed with recommendation letter for professional roles in an industry primarily because the demand of both the positions is different. 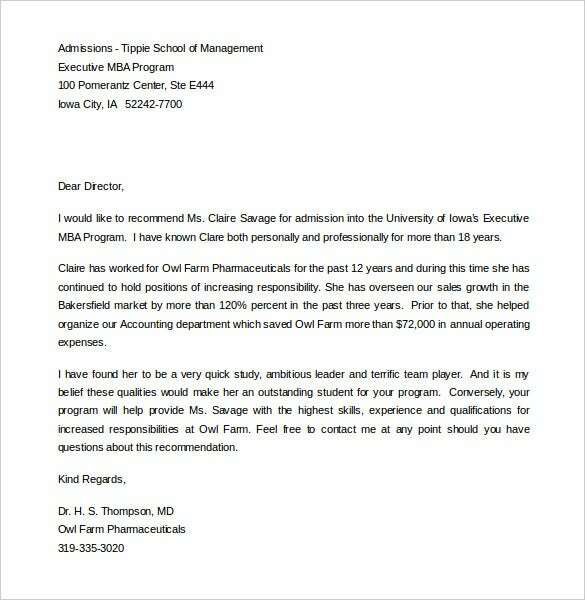 Here too, the letter should be precise and convincing highlighting the educational and professional experience gained by the individual. 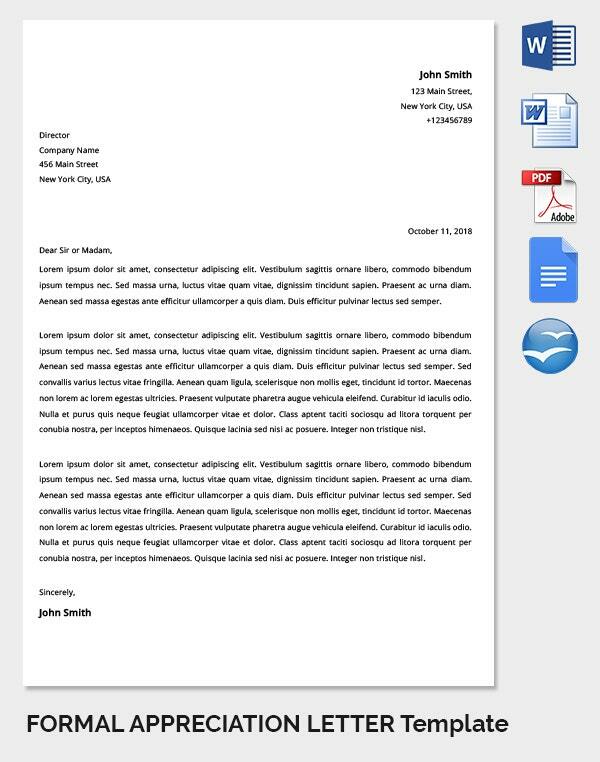 These templates are designed using Microsoft Word or PDF. 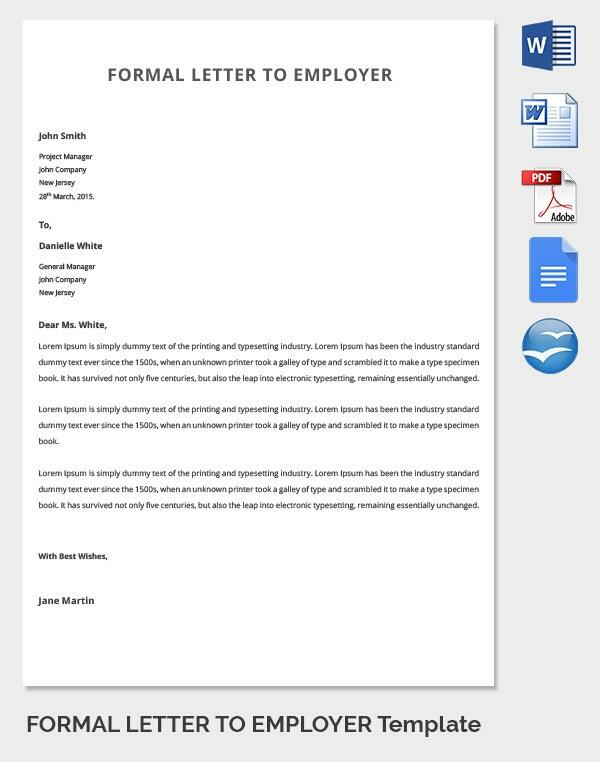 While drafting a business letter, utmost importance and focus should be given to the formatting of the same. 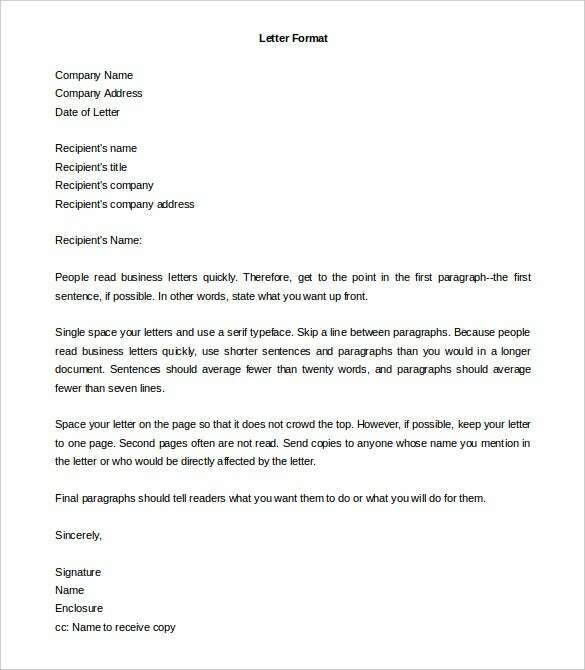 As these are formal letter, it must abide by a prescribed format starting with the sender’s address followed by the destination address, salutation, content and end with signature. Apart from that, the content should be precise and to the point. 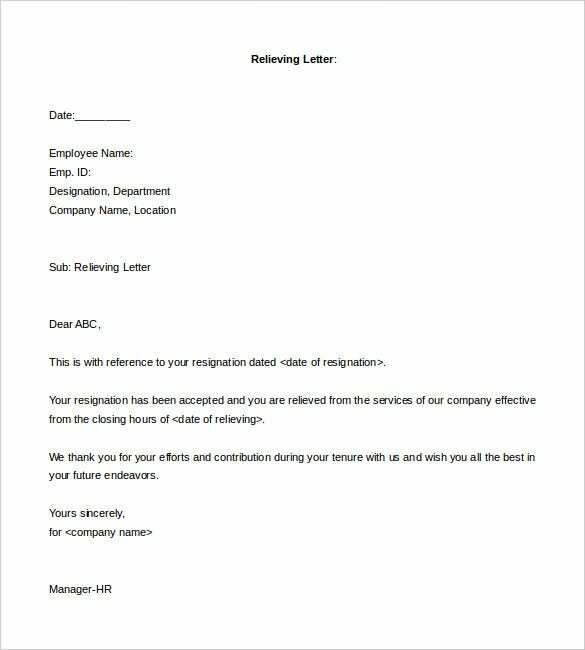 Resignation letters should be drafted keeping in mind the fact that the closure of services should be convenient without any hard feelings of display of anger or dissatisfaction. 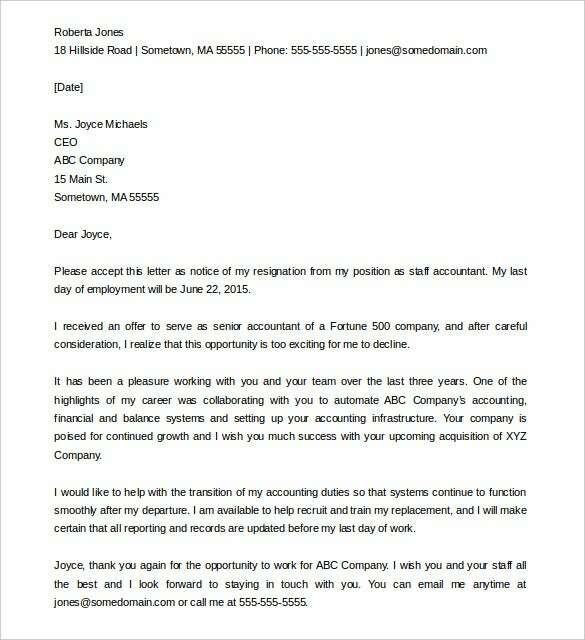 These letters should clearly mention the last working day for the employee and gratitude towards the employer for providing him the opportunity to work. 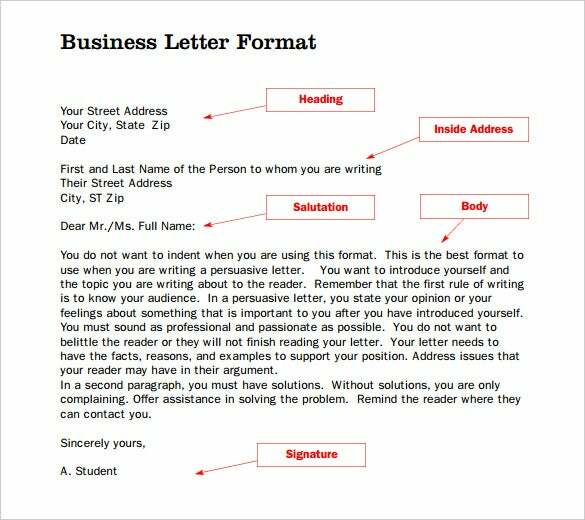 While drafting any formal letters, users must pay attention to the format and the content of the letter. 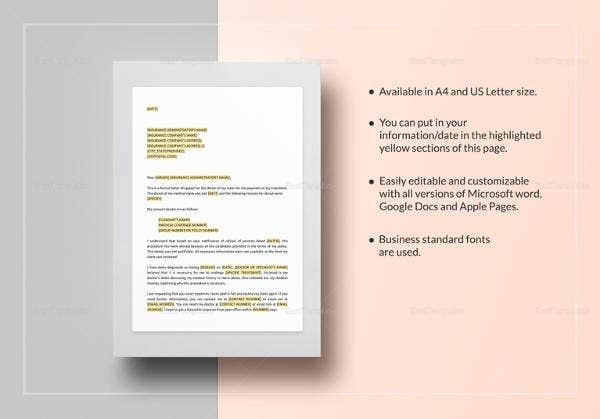 The format should follow a consistent flow as prescribed by the protocols and in addition to that, the content should be to the point highlighting specifics and the impact that the contribution had on the operations. 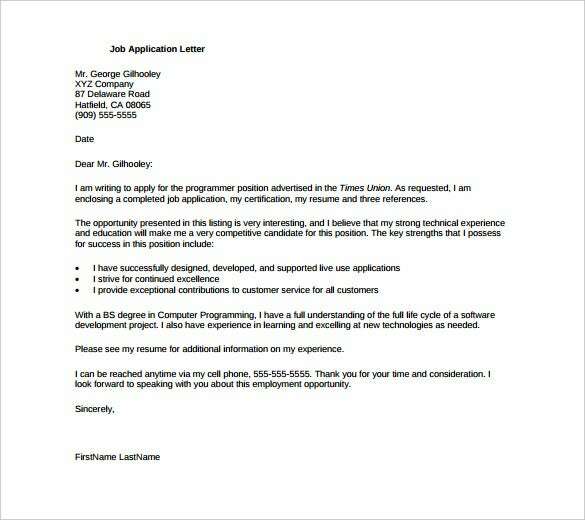 Application letters, quite similar to cover letters, acts as an introductory tool between the applicant and the employer. 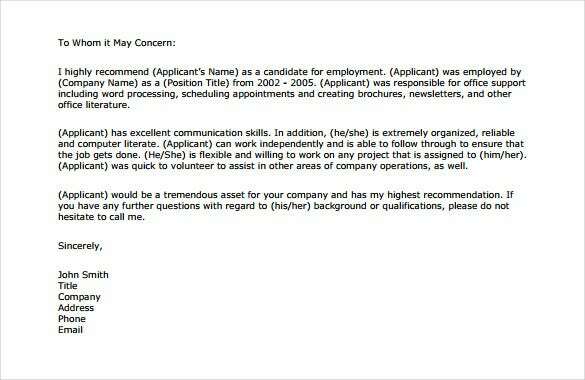 These letters are often attached along with the resume, job application form and other mandatory documents. 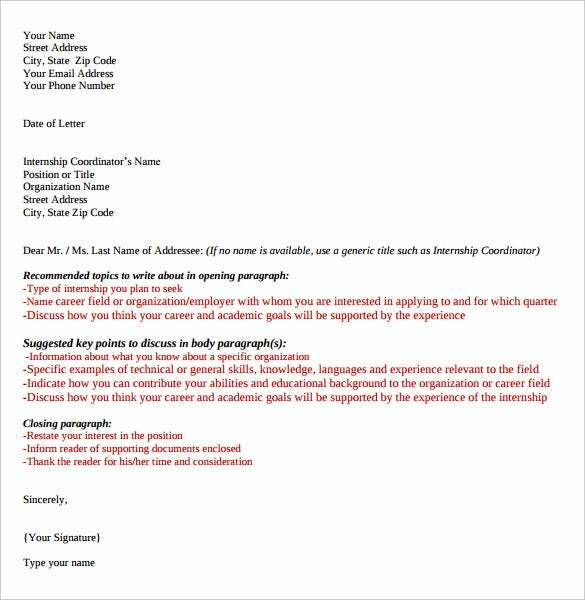 While highlighting the key achievements and expertise in the profile, applicants must clearly mention the contact points in the letter.